At the beginning of each year the Chairperson will set the schedule of meetings. 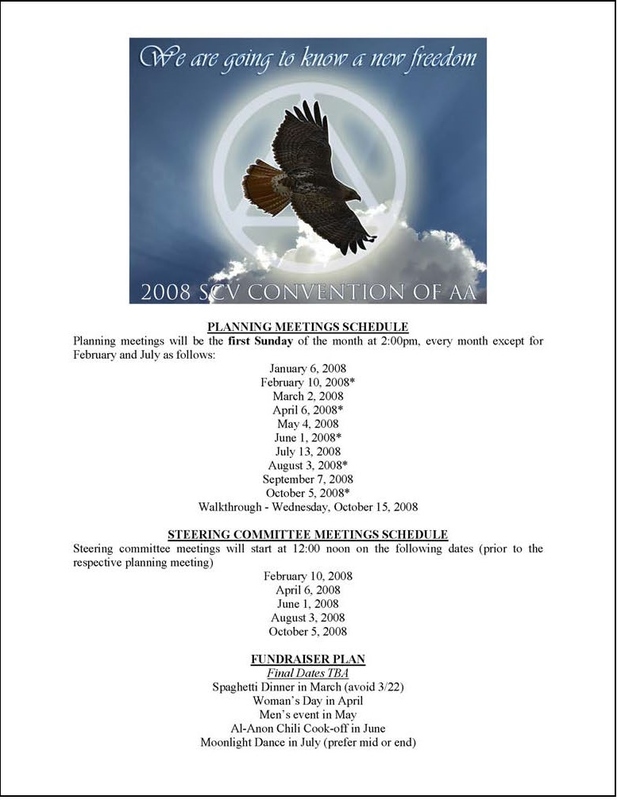 Each month there is an Open Planning meeting. During the first few months of the year there is a Steering Committee Meeting (SCM) every other month. During the few months prior to the convention there usually is a SCM every month. The Steering Committee Chairperson runs all meetings. If the Chairperson is not available then the Co-Chair will run the meeting in his or her absence. The Open Planning Meetings are less formal than the Steering Committee Meetings. All Volunteers are considered members of the Convention Committee. They should all be encouraged to attend the Open Planning Meetings. The primary purpose of the sort of meeting that uses rules of order is for the group to make decisions. A motion is a formal proposal by a member, in a meeting, that the group take certain actions. Strictly speaking, there should be no debate on a matter before a motion regarding it has been made. “I move that…” and then clearly describe the proposal. Wait until later to explain why the motion is a good idea. When one member has made a main motion, it must be seconded in order to be considered by the group. This shows that at least two members want the proposal considered. When a motion has been moved and seconded, the chair then states the question on the motion. To state a motion, the chair simply says, “It is moved and seconded that…” and then repeats the exact words in which the motion was made. Before stating a motion, the chair must determine if a motion is in order, if not the chair the must state, “The Chair rules that the motion is not in order because…” The Chair must ensure that the motion is clearly phrased. If not, the Chair should help the Mover to reword it before stating the motion. Once a motion is stated, it is said to be “on the floor.” The chair normally turns to the maker of the motion to see if he or she wishes to be assigned the floor. Secondary motions to amend the main motion may be made at this time. When no one else seeks recognition to debate the chair may ask, “Are you ready for the question? (or is there any further debate? )” If no further debate, the puts the question to a vote, “The question is on the adoption of the motion that…” Motions may require a majority vote, 2/3 majority vote or other. Chair should specify the vote required to pass the motion before asking for the vote. The Chair announces the result of the vote.